I have been visiting Cuba regularly since 2003. Below are some of my experiences of obtaining Cuban Tourist Cards from various countries and the experiences of some of our students / friends that have visited us in Cuba. CAN ANYONE APPLY FOR A CUBAN TOURIST CARD? It doesn’t matter where you are from or what passport you have, if you plan to visit Cuba as a Tourist, you will need to get a Cuban Tourist Card / Tourist Visa. The application process is usually quick and simple. CAN U.S. CITIZENS BUY A CUBAN TOURIST CARD? Yes, they can. Airlines, travel agencies and Cuban Consulates outside of the U.S. will sell the Cuban Tourist Card to any nationality. If a U.S citizen arrives into Cuba with a Cuban Tourist Card they will not be turned away by the Cuban government; Cuba has no problem allowing U.S. citizens into Cuba. However, according to U.S. law, U.S. citizens cannot visit Cuba simply by obtaining a Cuban Tourist Card. U.S. citizens need to obtain a special license to visit Cuba or travel with an organisation that has obtained a license to offer educational programs to promote people-to-people contact in Cuba. All details can be found on the U.S. Department of the Treasury website. HOW LONG CAN I STAY IN CUBA FOR? The Cuban Tourist Card allows you to stay in Cuba for 30 days. If you plan to stay longer than 30 days in Cuba you can extend your Cuban Tourist Card at Immigration in Cuba for another 30 days at a cost of 25 CUC. The maximum length of stay in Cuba with a Tourist Card is 60 days. If you are from Canada, your Tourist Card allows you to stay in Cuba for 90 days. Similarly, if you want to stay in Cuba for more than 90 days, you can extend your Tourist Card for an additional 90 days, at a cost of 25 CUC. The maximum length of stay in Cuba with a Tourist Card for Canadians is 180 days. WHERE CAN I BUY A CUBAN TOURIST CARD FROM? I have bought Cuban Tourist Cards from various countries, either from the Cuban Consulate, at the airport or at a Travel Agency and I’ve never had any problems. It’s not rocket science, you don’t have to answer a hundred and one questions or prove that you have enough money to fund your trip. It’s purely a bureaucratic process which all of us have to go through in order to visit Cuba as a Tourist. CAN I BUY A CUBAN TOURIST CARD FROM THE AIRPORT? Yes, it is possible to buy a Cuban Tourist Card at many airports, especially if you are flying from Central America or flying with TACA or COPA airlines, as they usually sell the Cuban Tourist Visas at the airport. I have bought Cuban Tourist Cards from Gatwick Airport in the U.K., from Juan Santamaría International Airport in Costa Rica and from Cancún International airport in Mexico. At Gatwick Airport, you can buy a Cuban Tourist Card from Virgin representatives at the Sales / Customer Service Desk. It costs around £30 GBP, it takes about 5 minutes, no questions asked. At Juan Santamaría International Airport in Costa Rica, I paid $15 USD for a Cuban Tourist Card when I checked in with TACA airlines. At Cancún International airport in Mexico I bought the visa from the MexicanaClick Sales / Customer Service Desk, before checking in, I paid around $15 USD. I have transited at both Tocumen International Airport in Panama City and at Benito Juárez International Airport in Mexico City and at the boarding gates of both of these airports the airlines made announcements informing passengers that they can buy a Tourist Visa for Cuba at the gate before boarding. I already had my Tourist Visa on these occasions so I am not sure about the price but I would say it costs around $15-20 USD. Nevertheless, if you are not travelling from or not taking a connection from one of these airports and you are not sure what to do, I would recommend that you check with the airline you are travelling with to see if they sell the Cuban Tourist Card from your departure airport. CAN I BUY A CUBAN TOURIST CARD UPON ARRIVAL AT JOSÉ MARTÍ INTERNATIONAL AIRPORT? A colleague of mine told me that she always buys her Cuban Tourist Card upon arrival at José Martí International Airport in Havana, Cuba. But to be honest I have never taken the chance, I always make sure I have a Tourist Card before arriving into Cuba. I have never seen anyone selling Tourist Cards in Cuba and I have never asked anyone at José Martí International Airport if they can be bought. But according to this Havana Airport website Cuban Tourist Cards can be purchased at immigration. DO TRAVEL AGENCIES SELL CUBAN TOURIST CARDS? My only experience of buying a Cuban Tourist Visa at a travel agency is at Agencía Sol y Son in San Jose, Costa Rica. I was able to go to the travel agency, buy a Tourist Visa for Cuba without having to buy an airline ticket. It was quick and easy and cost around $20 USD. In Cancún, Mexico, there are a number of travel agencies offering cheap flight / hotel packages to Cuba which include the Tourist Visa, travel insurance and hotel transfers. Trailfinders in the UK does have a visa department where you can buy a Tourist Visa for Cuba. The Tourist Visa is around £15 GBP, but Trailfinders add a service charge of £40 GBP; the service charge is reduced to £20 GBP if you have booked your trip with Trailfinders. ARE CUBAN TOURIST CARDS INCLUDED WITH THE AIR TICKET? No, not necessarily. You should always check this out with the airline when buying your ticket. I understand that some holiday companies that offer package deals to Cuba include the Cuban Tourist Card, but if you are like me and want to buy just a flight to Cuba you will probably have to buy your Cuban Tourist Card separately. One of our students from the U.K. booked her ticket to Cuba with Trailfinders in the U.K. Her flight was with Air Canada via Toronto, the Tourist Visa was included in the price of her ticket and it was given to her on her connecting flight from Canada to Cuba. In fact, many of our Canadian students have confirmed that their Cuban Tourist Card was included in the price of their air ticket and similarly it was given to them on board the plane. CAN I GET MY CUBAN TOURIST CARD FROM THE CUBAN CONSULATE? It is possible to visit any Cuban Consulate around the world and obtain a Cuban Tourist Card on the same day. I have been to the Cuban Consulate in Nicaragua and Uruguay with my passport, ticket confirmation and travel insurance details and obtained a Tourist Card for around $20 USD within around 15-20 minutes. I have never applied for the Cuban Tourist Card in person at the Cuban Consulate in London; I have always preferred to apply for it by post. The last time I got a Tourist Card from the Cuban Consulate in the UK was in 2006. It was simple, I printed the online application form, I sent them a cheque, a photocopy of my passport, a stamped addressed envelope and I received the Cuban Tourist Card through the post within a couple of days. The price of a Cuban Tourist Card from the Cuban Consulate in the U.K. is £15 GBP and an additional £19 GBP if applying by post. A couple of our students from Germany have confirmed that they were able to obtain their Cuban Tourist Card in person at the Cuban Consulate in Berlin, Germany. You can also apply for the Tourist Card from the Cuban Consulate in Germany by post. A couple of friends of mine from Australia got their Cuban Tourist Card from the Cuban Consulate in Sydney, Australia and paid around $110 AUS!!!!! Frankly, I was shocked that they had to pay that much. Before going to Cuba they had been in London and could have got it there for around £15-35 GBP. Their flight from London was via Venezuela and they were selling it at the boarding gate for around $15 USD. So if you are from Australia and are planning to go to Cuba, you are more than likely going to fly via another country so I would try to find out if you can buy the Cuban Tourist Card while in Transit. CAN I BUY A CUBAN TOURIST CARD ONLINE? A couple of our students from the U.K. have bought their Tourist Visa online with VisaCuba. They told me that it was fairly safe and easy, it was delivered by royal mail and it cost around £15 GBP plus a £10 GBP service charge. 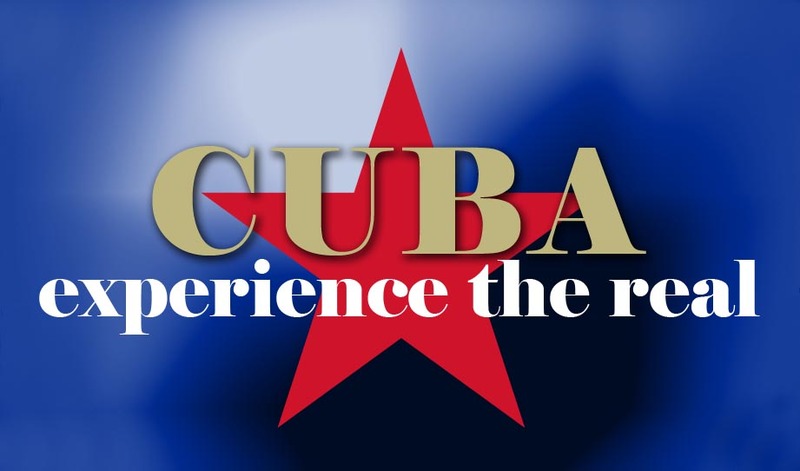 If you want to share your experience of buying a Cuban Tourist Card, then please feel free to email me at experiencetherealcuba@gmail.com and I will update my post. From Canada they give you one for free on the airplane and then you pay 25cuc before going though customs when you go back home. You are correct about the length of time you can stay in Cuba. Canadians are the only nationality that are allowed to stay in Cuba for 6 months. They like us more. Just want to verify that what you said applies to Americans traveling from Canada too. It doesn't matter where you are from. If you fly from Canada with a Canadian airline, they hand out the visa to all passengers on the flight. But you should check with the airline you are flying with that it is included in the airfare. Air Canada definitely do. There is no longer an exit fee of 25 CUC to leave Cuba. But if you don't have a Canadian passport the visa is only valid for 1 month. You can extend the visa in Cuba, you can stay for upto 3 months but you have to go to immigration after every 30 days to extend the visa, so that means 2 visits to immigration for a 3 month trip. My friends and I have a very unique situation: 3 of us, that's 1 Slovakian and 2 Indians, residing in Munich are flying out of Vienna to Toronto, spending a day there and then flying to Cuba. The question then is this: Where could be apply/get the tourist card from? Based on what you mentioned above, we could (and hopefully should be able to) get the tourist card from Air Canada in Toronto. Do you think this would work out? Anyone who thinks otherwise, do let me know. We can prepare accordingly. Thanks! It doesn't matter what your nationality is or where you are residing, if you are flying to Cuba with Air Canada from Toronto, your ticket includes the Cuban Tourist Card and they will issue you the Tourist Card during the flight. We're 2 Australians & will be holidaying in Miami. Will it be possible to obtain a Tourist Card at Miami Airport (we'll be flying to Cuba with American Airlines). by completing an application form. On the application form you will have to tick a box to state your reason for travel to Cuba. There are twelve categories, tourism is not one of the 12 categories, so choose one of the the other categories e.g. educational activities. You can ask your airline upon arrival at Miami airport where to go to get the Cuban Visa. Be prepared to queue and pay for the visa in $USD. Not sure what the current price is. Please share your experience and the price of the Cuban Visa with us on the blog.